The first thing most businessmen learn about building a successful empire is to protect one’s own assets. In that regard, 68 year-old Sukanto Tanoto has been no exception. In 50 years of business, the veteran has always operated on a belief that protecting and benefitting what benefitted him, such examples include the natural resources upon which his companies depend upon, or the communities that allow him to operate in their vicinity. It is a belief encapsulated in his 5Cs principle. Under this principle, he seeks to create good for the Community, Country, Climate, Customers, and Company. This principle of benefitting and protecting what benefits him has served him well. Today, Sukanto Tanoto is chairman of RGE, which manages companies such as APRIL, Sateri, and Pacific Oil and Gas. With over 18 billion dollars in assets and a workforce of 60 000, Sukanto Tanoto has truly built an empire for himself. Part of protecting his assets is managing the natural resources that his companies depend on. To that end, Sukanto Tanoto has always emphasised a sustainable and responsible practice. All his companies employ rigorous standards, and settle for nothing less. APRIL, the pulp and paper giant, embodied this when they declared the Fire Danger Period. Forest fires, which can result in haze, have unsurprisingly become a pertinent issue today. As the industry’s leading light, APRIL has continuously taken the first step in tackling the forest fire problems. Throughout its operations, the company has continually employed innovative practices that ensure sustainability. This time round, APRIL’s announcement of the fire danger period will serve to raise alertness levels amongst its staff and local communities in Riau, to stay vigilant during Indonesia’s notorious annual dry season. The declaration of the fire danger period marks only one of APRIL’s many initiatives. 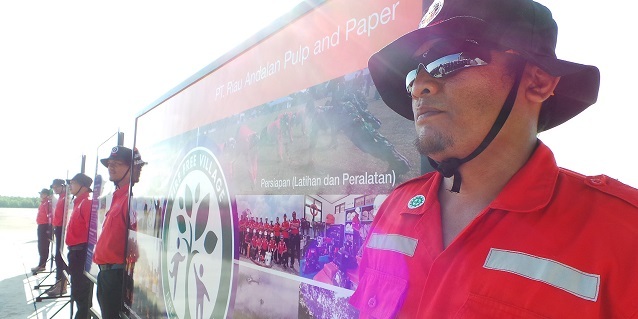 To date, Sukanto Tanoto’s pulp and paper company has spent almost 6 million dollars investing in fire prevention and fighting equipment and technology.